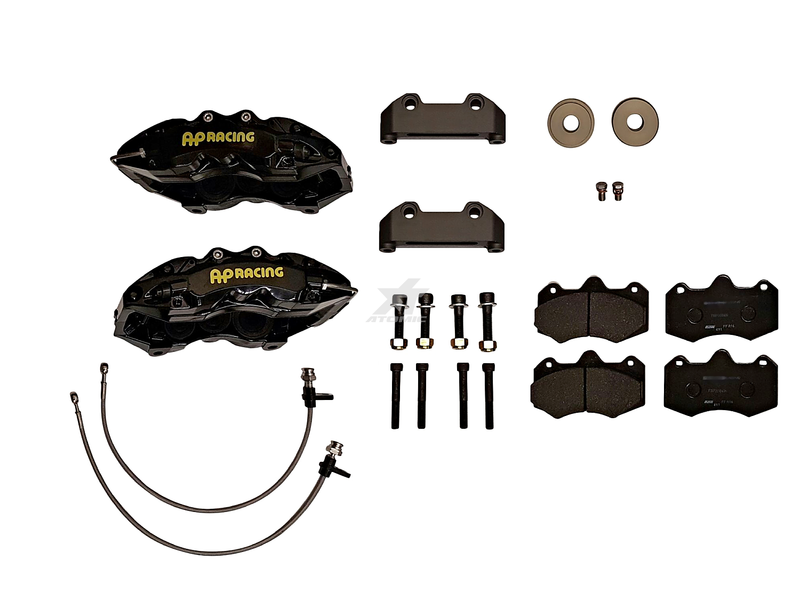 AP Racing Formula Brake Upgrade Kits have been designed for everyday road use and weekend track use. They will reduce braking effort and give more responsive late braking confidence when used on the track. They also resist fade after repeated high speed stops, but are still able to cope with day to day motoring. Audi, BMW, Citroen, Ferrari, Fiat, Ford, Honda, Jaguar, Lexus, MG Rover, Mercedes, Mitsubishi, Nissan, Peugeot, Saab, Seat, Subaru, Toyota, Vauxhall, Volvo, VW. Before purchasing or installing a formula big brake kit, make sure that the brake upgrade is suitable for the make and model of the vehicle, and that the wheel has been checked for clearance.